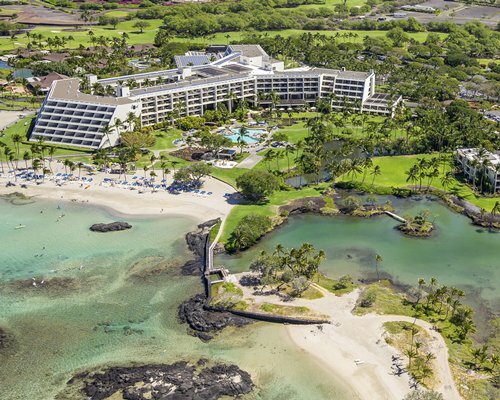 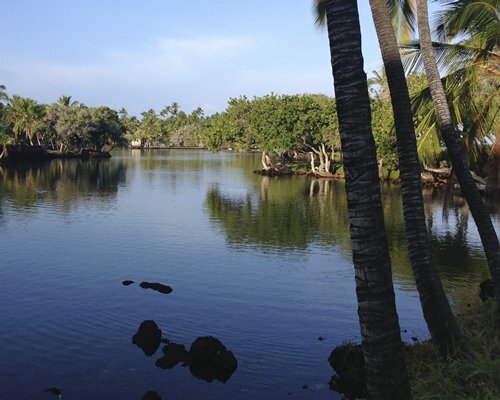 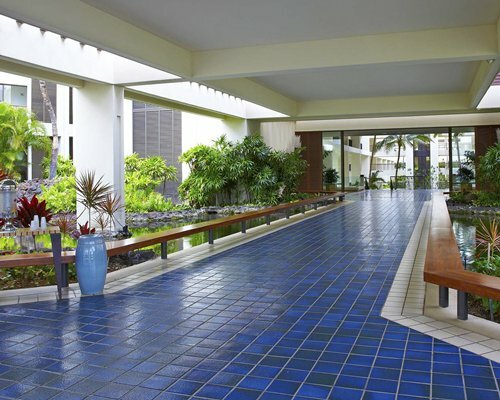 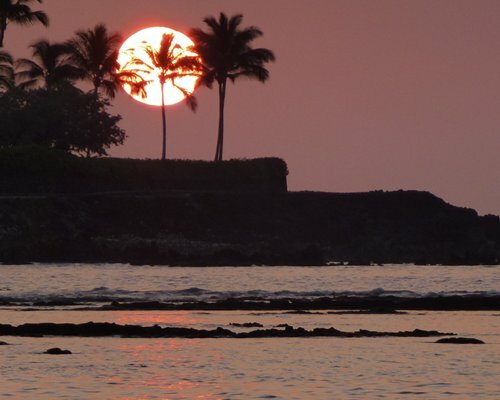 The resort includes the luxurious Mauna Lani Bay Hotel & Bungalows, Mauna Lani Spa and the Francis H I'i. 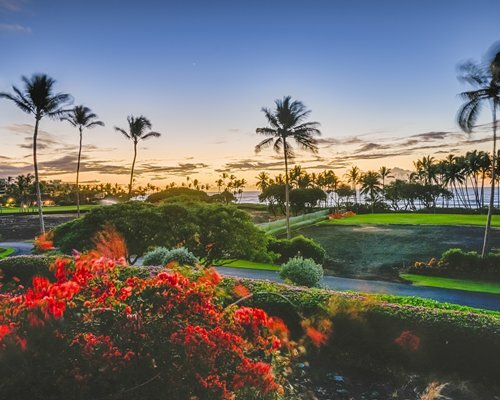 Brown Golf Courses. 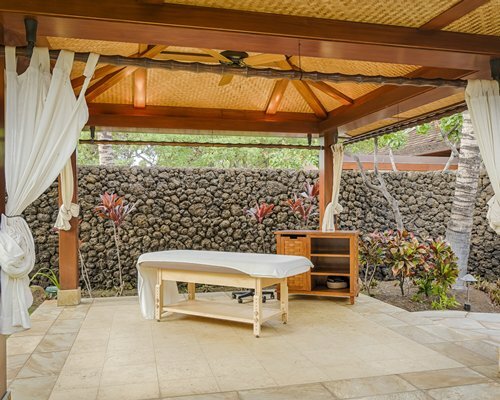 The garden area of the spa resembles a Hawaiian village with thatched hale for treatments -- two large enough for couples, one with a Vichy shower, two natural lava saunas, a meditation pavilion and a fragrance garden. 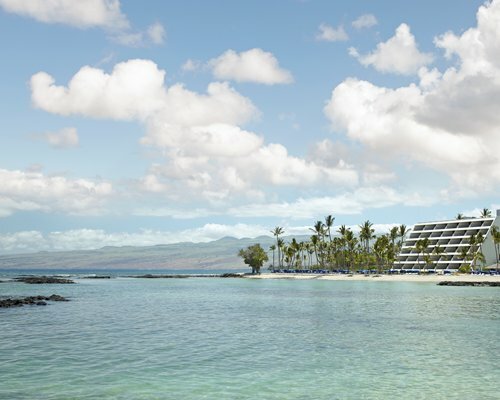 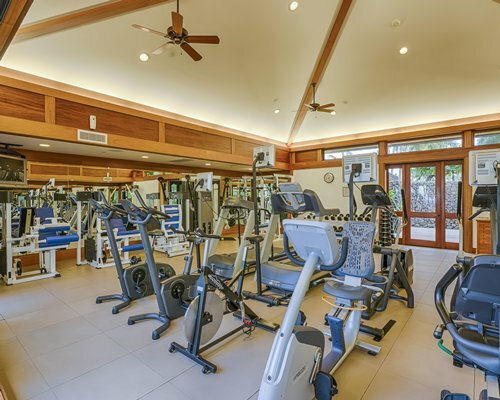 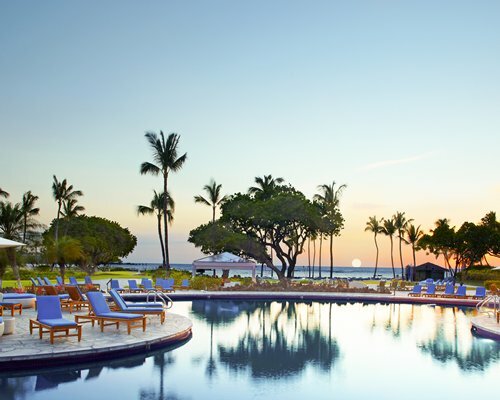 Indoor area includes beauty and treatment rooms, locker rooms, steam showers, saunas and a retail boutique.Mauna Lani offers a myriad of dining options and activities for the entire family. 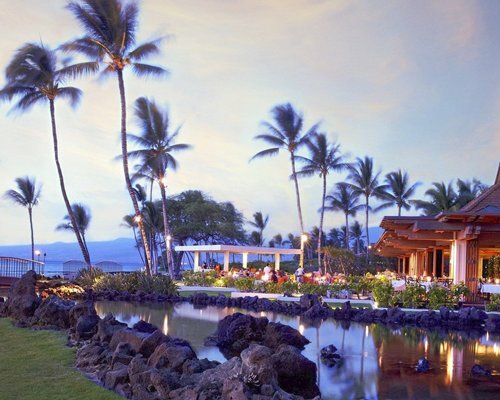 Dining venus include the Bay Terrace, poolside Ocean Bar & Grill and the oceanfront CanoeHouse featuring Hawaii Regional cuisine. 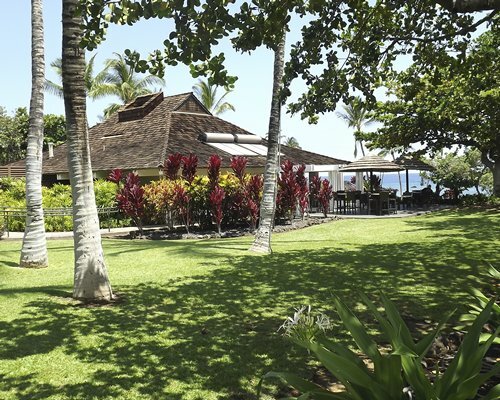 Activities include catamaran sails, scuba, snorkeling, cycling, fitness, cultural classes and more. 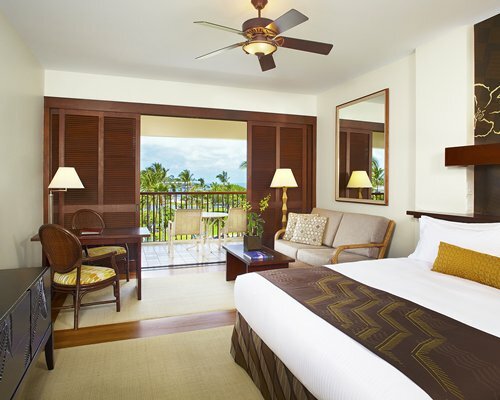 The 318 guestrooms, 18 suites were refreshed in 2013/2014. 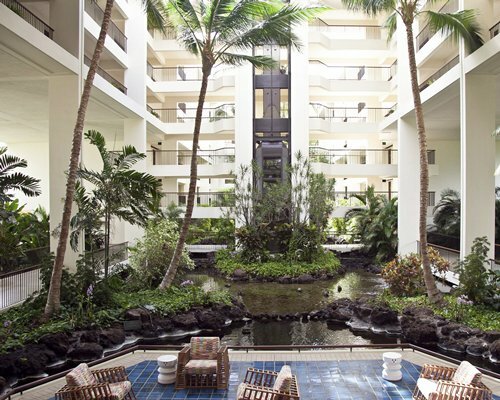 Features include a private lanai, desk & chairs, coffee table, couch, two phones, WiFi, internet access, 45" LCD TV, personal bar, safe, double and king size beds, refrigerator, clock radio, make-up mirror, hair dryer, umbrella & bathrobe.